Summer will be here soon enough and even though it might not seem like the cold and snow will ever end, awesome weather and riding will be here in the blink of an eye. Maybe a few blinks but still, it's never too soon to start planning for summer! 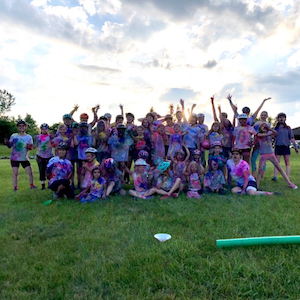 Kids want to get outside and have fun after being in a classroom all day. School is awesome and fun but there's always extra energy stored up from a day of learning. The Little Bellas Lakeville Tuesday Program is a great way to get kids out for much needed fun and play! The Lakeville Program Mountain Bike Program meets for eight select Sundays, late spring into summer at West Lake Marion Mountain Bike Trail. The program welcomes girls of all and any abilities to have fun, ride bikes, play games, and learn skills for mountain biking. It's main focus is to have fun! The goal is to create a fun, positive environment for the girls to build confidence and learn new skills. Whether it's riding the rollers and berms or tackling a few switchbacks, West Lake Marion offers a full range of trails for every level of rider. Valerie has had a love of cycling for a very long time. Although she enjoys all disciplines of riding, mountain biking was definitely her first love. Understandably so! 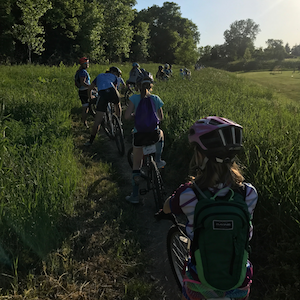 Along with being a Little Bellas mentor since 2014 in the Woodbury, MN Program, she is also actively involved in her area mountain bike community and other programs whose focus is supporting youth and women's leadership in her community. 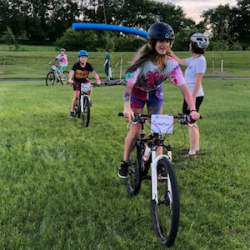 Stepping into the Lead mentor role is a natural next step and Valerie is super excited to continue spreading the message of getting more girls on bikes! 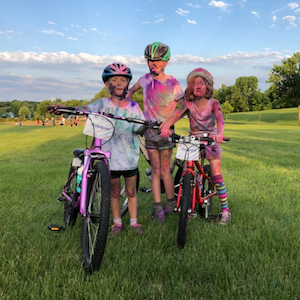 And although bikes are her first love, she also loves partaking in winter sports (I mean, it's Minnesota so....) like nordic and alpine skiing. 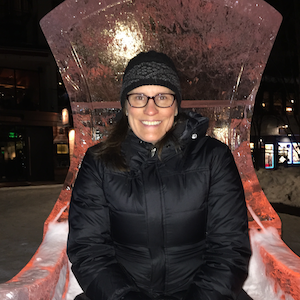 Valerie is all about getting involved as much as possible and experiencing life!